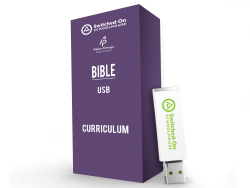 SOS 3rd Grade Bible is packed with helpful background information to teach student's verse memorization, the books of the Bible, and Christ's life story. Develop student's' understanding of biblical principles through the study of Joseph, Abraham, Paul, and the Bible writers. Friendship and caring for others is also discussed. Ideal for inquiring minds!